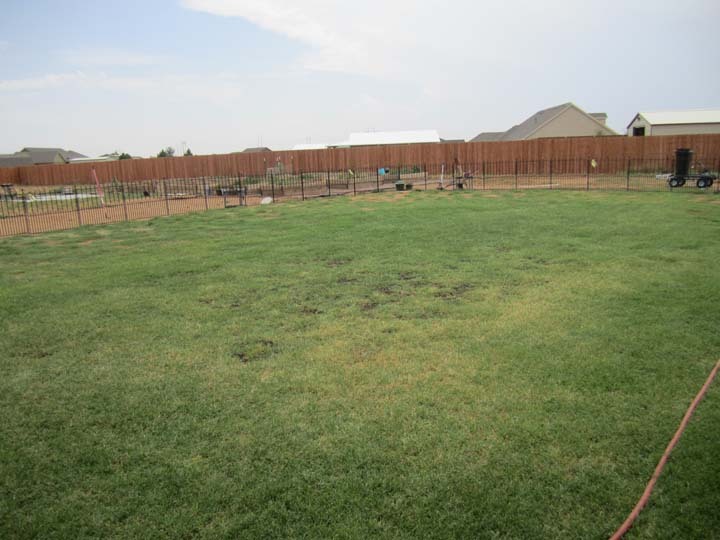 How we Coaxed a Green Lawn: Growing green lawn was a challenge - we sowed seeds, grew plugs, and transplanted slugs. 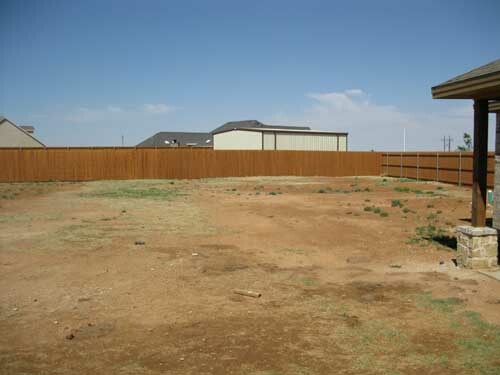 Being a gardener in Lubbock is a greater challenge than I ever imagined. With each passing year, my gardens are getting better. 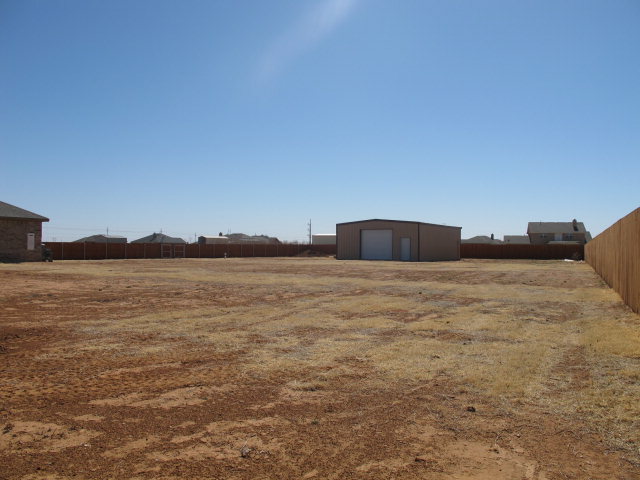 Without question, the biggest issue facing me was growing some grass in all that good ol' Texas Red dirt. How exactly do you get grass to grow? My Daddy declared that any plant growing in the wrong place is called a weed. Well many people would classify bermuda grass as a weed. It is quite invasive. 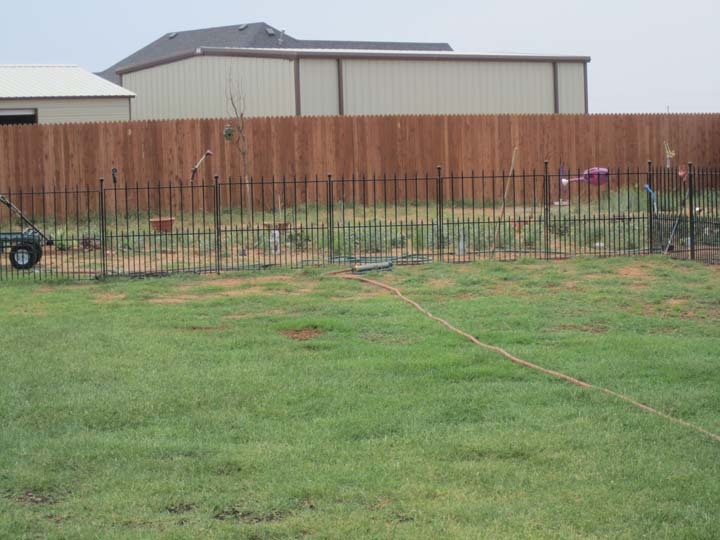 Bermuda grass sends out underground "runners." 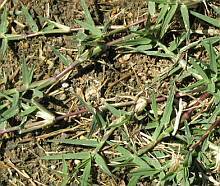 As a result common bermuda can be very invasive. These runners are not roots, but rather rhizomes. The rhizomes serve the purposes of reproduction and survival. 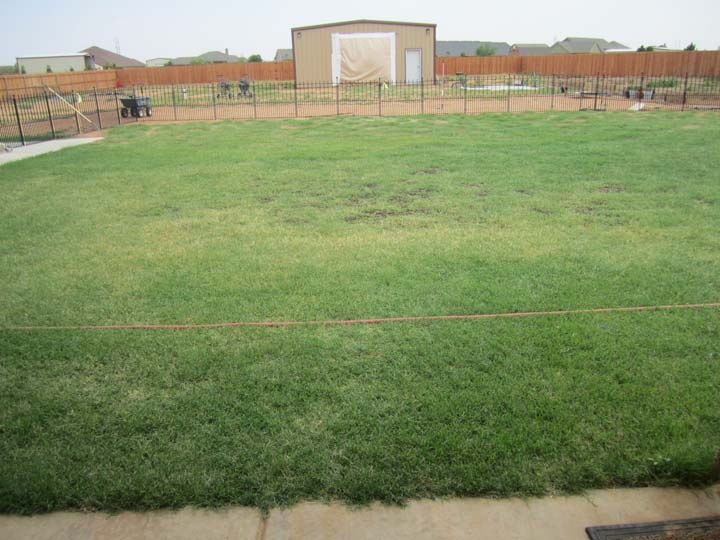 The flip side is that Bermuda grass that has the ability to regenerate and self-repair a lawn. can travel a few inches to dozens of feet. They have been observed growing successfully under plastic sheeting or driveways. The push forward until they find an opportunity to pop above ground. What's more, if the above ground growth dies, the underground shoots are likely to survives. They can remain viable for years. Under the right conditions, these tenacious rhizomes push up to the surface and start a new plant. Be aware that even a small portion of a rhizome left in the ground can be enough to regenerate. Common bermudagrass, C. dactylon, is grown throughout the warmer regions of the United States. Apparently it was introduced into to the USA from Africa or perhaps India. The exact date is not recorded, but bermuda grass is listed in a publication dated 1807. 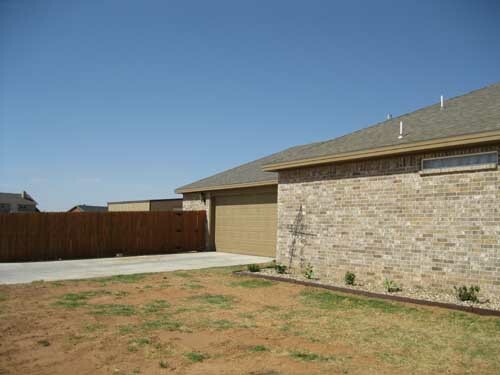 Bermuda grass can be easily planted from grass seed, sod or grass plugs. 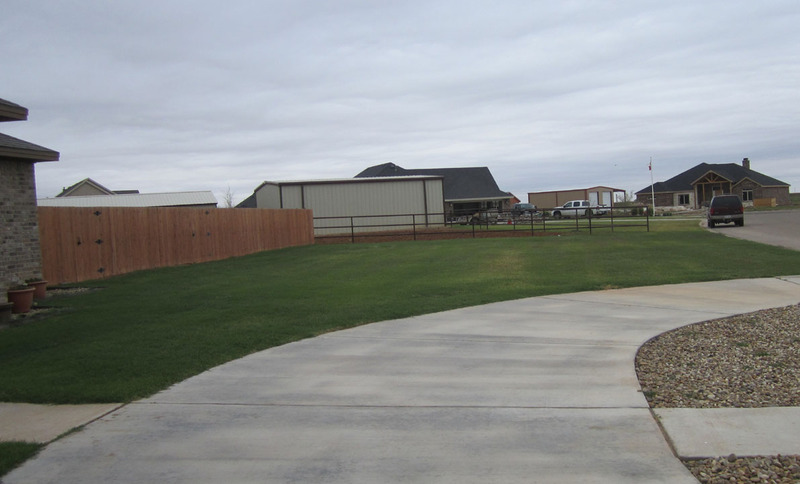 Grass seed germinates quickly, covers quickly and grows in a variety of soils. 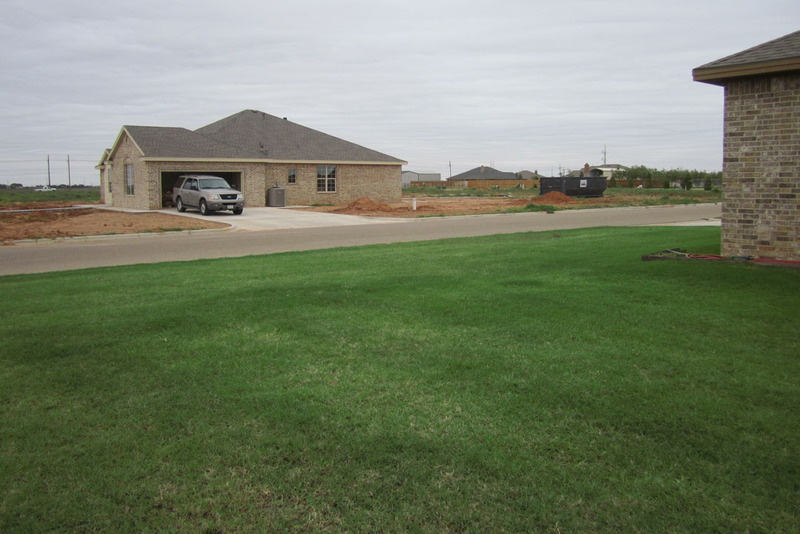 The Challenge was to turn all this good ol' Texas RED DIRT into a Lush GREEN (Bermuda Grass) LAWN. Originally this feat had to accomplished by Hand-Watering in that there was no underground sprinkler system. 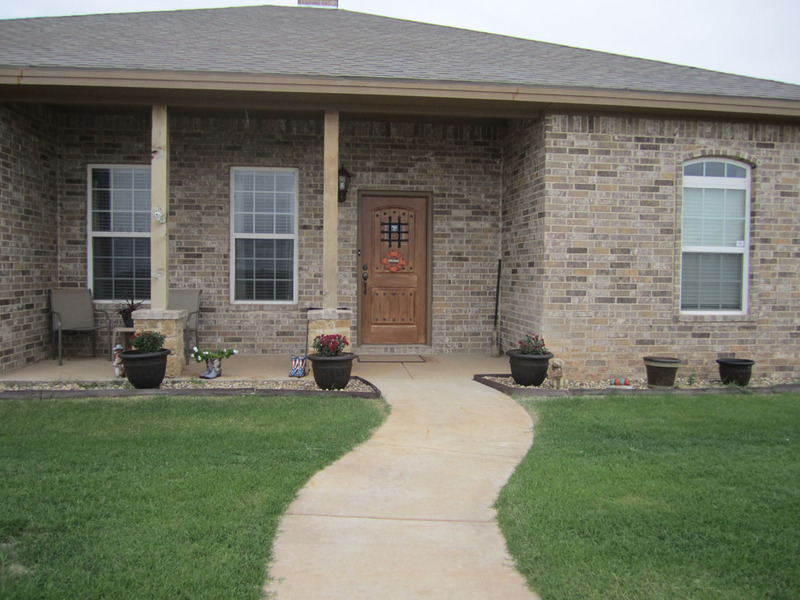 The entry is so much more inviting. Just have to keep pulling weeds. a new neighbor built a house. a loving green lawn to admire. In 2012 the East side is still dirt. shop (due south) door to keep out dirt. August 2012 Raised beds are South of the "Iris River"
is West of the Beds. 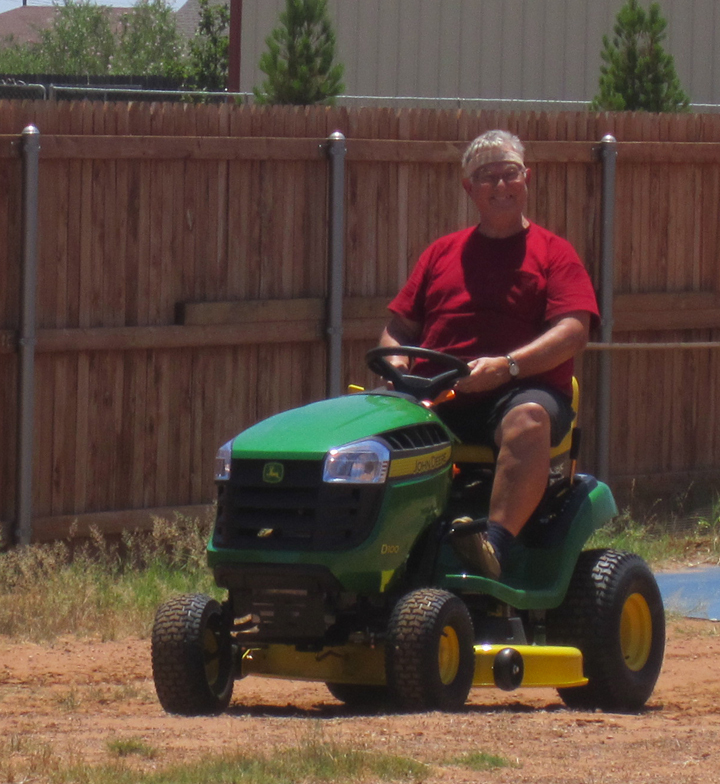 in July 2012 to mow the lawn.